Wednesday, December 19, 2012, the Letty Coppel Foundation organized an inn in coordination with the indigenous women of Cabo San Lucas B.C.S. Posted by admin in Comunity Development on 12 19th, 2012 | Comments Off on Wednesday, December 19, 2012, the Letty Coppel Foundation organized an inn in coordination with the indigenous women of Cabo San Lucas B.C.S. Visit to Casa Hogar in Cabo San Lucas, B.C.S. Posted by admin in Comunity Development on 12 18th, 2012 | Comments Off on Visit to Casa Hogar in Cabo San Lucas, B.C.S. Letty Coppel Foundation and DIF celebrate an inn for the elderly. Posted by admin in Newspaper archive Los Cabos on 12 15th, 2012 | Comments Off on Letty Coppel Foundation and DIF celebrate an inn for the elderly. Letty Coppel Foundation, Pueblo Bonito group on the Cabo San Lucas pilgrimage. 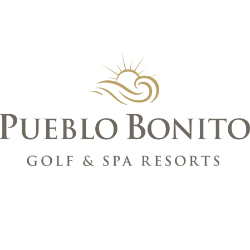 Posted by admin in Comunity Development on 12 11th, 2012 | Comments Off on Letty Coppel Foundation, Pueblo Bonito group on the Cabo San Lucas pilgrimage. Letty Coppel Foundation made the donation for the benefit of the Telethon. Posted by admin in Social Assistance on 12 8th, 2012 | Comments Off on Letty Coppel Foundation made the donation for the benefit of the Telethon.